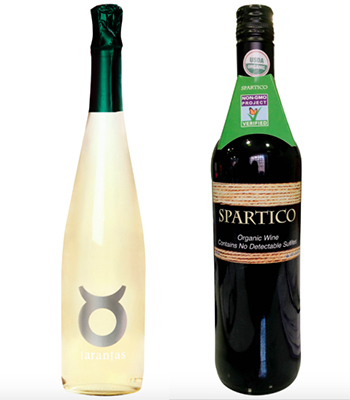 Yes There are Organic Wines! You care about what you put in your body and likely to some extent try to buy organic foods and body care products. It is important for our health since we are fueling our lives with what we eat. That being said there are areas I never even thought about going organic, like my wine. It was my time at ShiftCon, an amazing conference run by mommy blogger and social media influencer Leah Segedie of Momavation, that opened my eyes and introduced me to Natural Merchants for family produced organic wines.. So I have now been trying two amazing wines that give you a healthy edge while still letting you enjoy a glass or red or white. All wines are vegan-friendly, and Non-GMO Project Verified. This sparkling white wine is definitely crisp and dry, which I enjoyed. It is not a sweet wine also something that works well with a nice meal. There are definitely fruit undertones, but I confess to not being refined enough in the palate to differentiate. The official description says “dry-yet-fruity light-to-medium body and a silky, crisp green apple and lemon finish with no oak.” I paired it with lemon chicken and it was a huge hit.